This is a picture of Tim Colliver’s banana nut bread. Hello from in the kitchen with Sharon. I hope everyone had a great week and that you are enjoying all these great recipes. I know I am. Next weekend is Easter and I am sure everyone is deciding on what to fix. I am going to do pulled pork, slaw, potato salad, and pistachio salad, and I am going to make this banana nut bread recipe. Plus, I am going to have cheesecake made by Cindy Boyd. I just picked up a cheesecake at her house and she gave me a piece of her’s to try. Wow! It is delicious. Thank You Cindy! She is going to be famous for her cheesecakes. 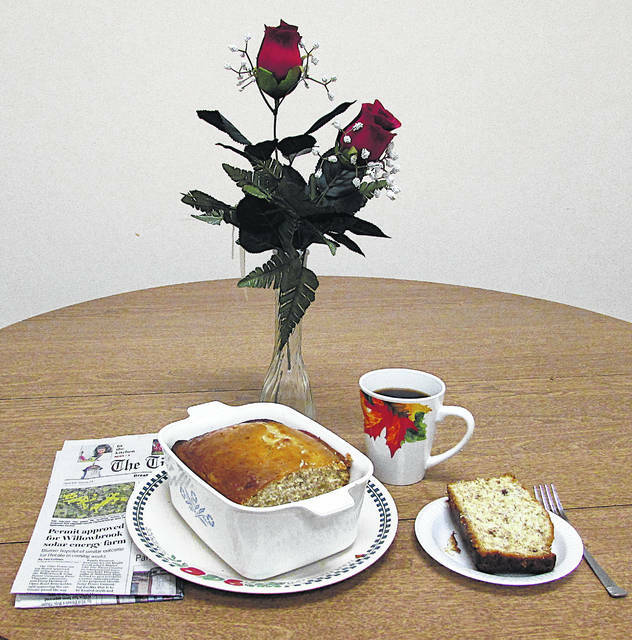 In the kitchen with Sharon this week is Tim Colliver with his banana nut bread receipe. Enjoy! And keep sending all your great recipes to us. Until next week, have a wonderful weekend! 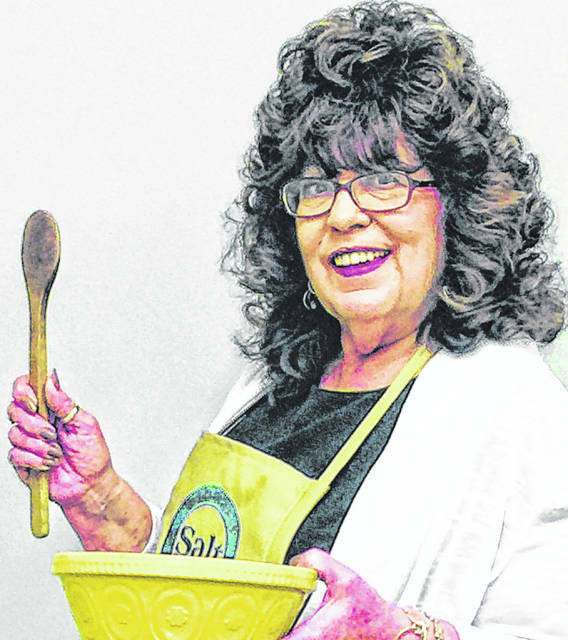 The following is from Tim Colliber, a staff reporter at The Times-Gazette: “I was in the mood for some baking over the weekend, which is what happens when you binge watch reruns of “The Galloping Gourmet.” But here is, for my money, one of the best recipes for banana nut bread I’ve found that doesn’t take forever to bake and tastes more like a light bread rather than a heavy cake. I’ve included a homemade butter cream icing that you can schmush all over it if you have a bit of a sweet tooth. And yes, schmush is a baking term that I picked up from a Jewish lady whose husband owned a radio station I worked at 35 years ago. First of all, add about one tablespoon of lemon juice to the mashed bananas since it will keep them and your bread from turning brown. Mix all the ingredients and add the flour last. Pour the batter into a greased and floured loaf pan, or coat the pan with cooking spray, and bake at 350 degrees for about 45 minutes. Check it periodically by inserting a knife into the bread to see if it’s done. If the knife comes out clean, it’s done. Don’t overbake it. 1 tablespoon whole milk (you’ll want to use enough to give the icing a “drizzle” consistency. Let the bread cool off a bit so the icing doesn’t heat up and gather around the edges, because then it runs over the sides of your loaf pan and onto the counter, and your wife gets on you for making another mess … you get the idea).